A motorway bridge has collapsed in the northwest Italian city of Genoa, killing 26 people and badly injuring 15, police told the BBC. A representative of the motorway's operator, Autostrade, told Reuters news agency there had been "no reason to consider the bridge was dangerous". Shares in Atlantia, Autostrade's parent company which runs much of the country's motorways, fell 6.3% after news of the collapse. "We saw lightning strike the bridge," eyewitness Pietro M all'Asa was quoted as saying by Ansa. "And we saw the bridge going down." Earlier, fire brigade sources told Ansa unofficially that 35 people were dead and 12 missing. "We are continuing with the rescue operations because we think there are other people alive under the rubble," Genoa police spokesperson Alessandra Bucci told Reuters. "We have extracted people from the rubble and now we are focusing on assisting the people, and later on we will understand what caused the collapse of the bridge." "The first victims have been evacuated and now we have to search under the wreckage of buildings, but there are thousands of tonnes of concrete," he said. The collapse of the bridge was an "incident of vast proportions on a vital arterial road, not just for Genoa, but for the whole country", said Mr Toti. "The Morandi bridge connects three major ports in our country, used by tens, even hundreds of thousands of people. They depart from these ports on holiday. These docks receive most of our country's imported goods. It damages the very structure of the Italian logistics system. We are expecting a very fast response from the government." "What we are carrying out at the moment is a search and rescue operation for the victims and the injured, to get the victims out and recover the injured," he said. "Then we are obviously also trying to work out how to set up a viable route that is an alternative to the motorway, and also for entry and exit from the port." "It's not acceptable that such an important bridge... was not built to avoid this kind of collapse," Mr Rixi was quoted as saying by Reuters. 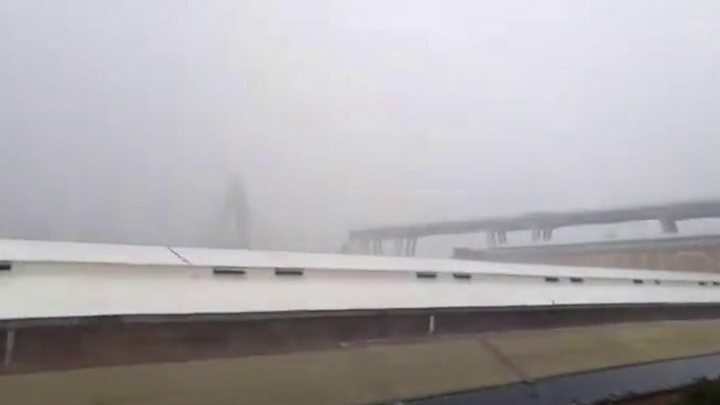 However, Stefano Marigliani, the Autostrade official responsible for the Genoa area, told the agency that the bridge had been "constantly monitored and supervised well beyond what the law required". Repair work on the bridge was carried out in 2016, Reuters reports. Major repairs also took place in the 1990s. A structural engineer who lectures at Genoa University, Antonio Brencich, warned in 2016 that there were problems with the bridge, Italian media report. The bridge's designer, Riccardo Morandi (1902-1989) had miscalculated the "viscous deformation" - an ageing effect on reinforced concrete, Mr Brencich said. "He was an engineer with great insight but lacking in practical calculations," the lecturer said. Italy's recently installed government has pledged to increase public investment in infrastructure. European Commission chief Jean-Claude Juncker voiced his "deepest sympathy and sincere condolences to the families and friends of those who have died, and to the Italian people".